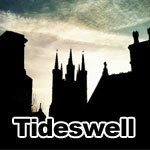 Articles all about Tideswell people and Tideswell History. 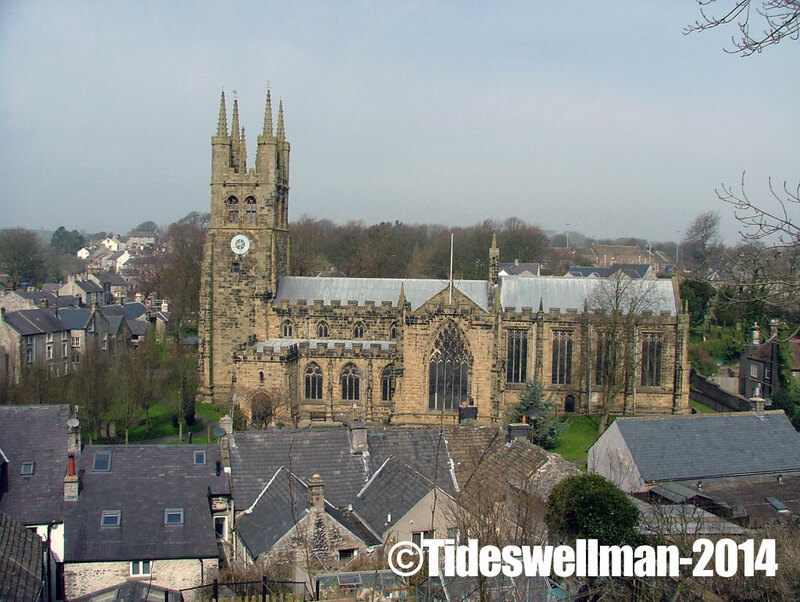 Enjoy Photos and Blogs by Tideswell Man. A few weeks ago I was gutted to learn that I had missed Tideswell being on Countryfile. Luckily Pete Hawkins, Editor of the local Village Voice had managed to post a clip on YouTube. 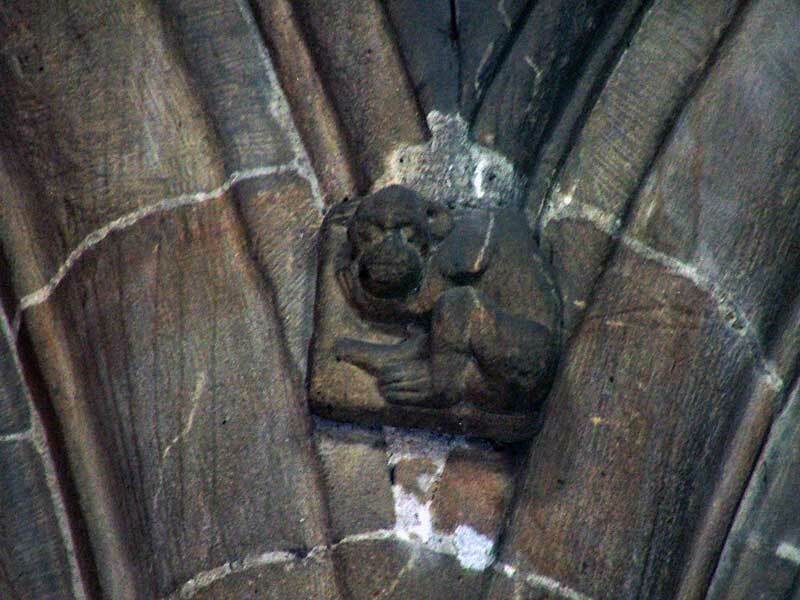 To be fair very little of the footage actually featured Tideswell, which was disappointing. However, any exposure on the national media is good and it can only help the shops and businesses. So well done to the PR team who managed to catch Country File’s eye. 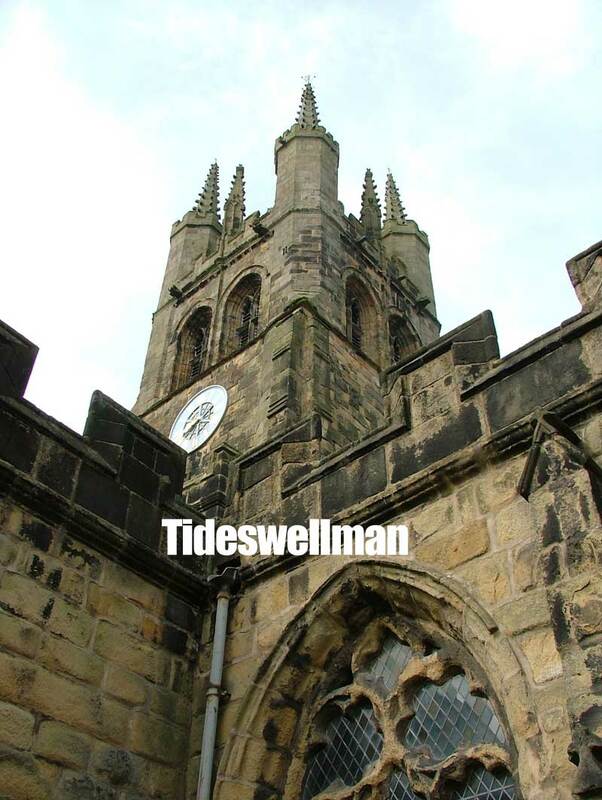 June 29 saw the highpoint of the new era of Tideswell Wakes. The morning saw black clouds on the overhead and fears were abound that the day may have been a wash out. Instead by midday the clouds were breaking and the first wakes floats were taking to the streets. People were already anticipating the excitement and getting out on to the streets and socialising and enjoying themselves. At 3 o’clock the procession began, there must have been several hundred people on the streets of Tideswell. This year’s Wakes committee have done the village proud by creating a Wakes week to rival the days of old. The Wakes committee managed to put on a full and varied set of events throughout the week, and for Big Saturday they brought Wakes Queens and Marching bands from outside the village To take part in the the carnival. 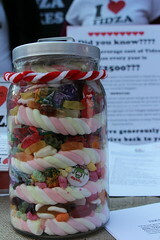 The impact of Tideswell Carnival and Wakes week in general is so good for the village, and also for the Peak District. People from all over the region and beyond came to see the spectacle. The huge increase in tourism pumps much-needed money into the local economy. Businesses like Peak District Dairy who were selling ices and teas as well as the various food stalls that were busy all day. Many of the local pubs put on some form of musical entertainment to hold the interest of the visitors and provide a relaxing interlude for those who didn’t follow the carnival procession as it made it’s way around the village. I have not seen a carnival like this for many a long year. It took me right back to my childhood. That was the sentiment echoed by many of the local villagers who I chatted to on my way home. Everyone agreed that the new Wakes Committee had succeeded in breathing new life into what was almost a beautiful, but dying tradition. Organisers of any event will know that good publicity is key. Unless people know about and event, how can they attend. Attracting customers cannot be left to chance and hope. Special effort must be made to attract people and to keep them happy, once they arrive. This years wakes committee made a splendid effort in publicising the weeks events. The publicity work done by the Chair Liz Hill, really was on the money. 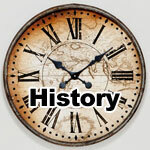 As well as reaching out to the local newspapers, The Wakes team made sure that local people were kept in the loop by making posts on The Village Voice Web Portal as early as January. Perhaps the weather played a part in bringing the crowds, but the technology of social media played its part too. 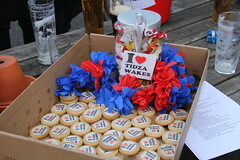 The Wakes information website, the Facebook Page and use of Twitter all helped keep the event current and in people’s minds. Friends of Tideswell did their bit too by helping to share and like on Facebook and to Retweet any announcements made regarding the festivities. In the past, it was too easy to forget that a little village in the Peak District was having a carnival, today events appear each day on your social media timelines. It’s harder to forget. 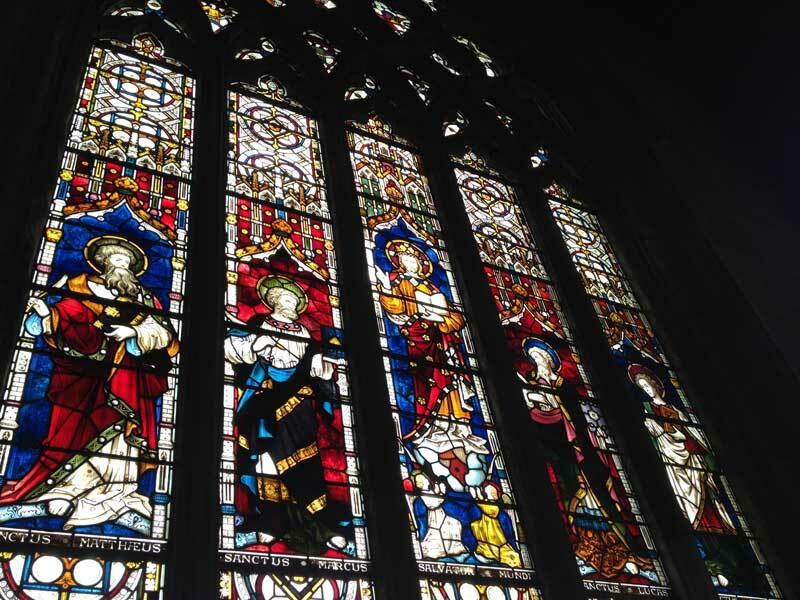 What can other villages learn from Tideswell Wakes? Up and down the Peak District the Wakes festivals have in recent years, seemed to be dwindling in popularity. So if anyone thought that streets festooned with fluttering bunting were an anachronism, this year Tideswell poured cold water on that theory. 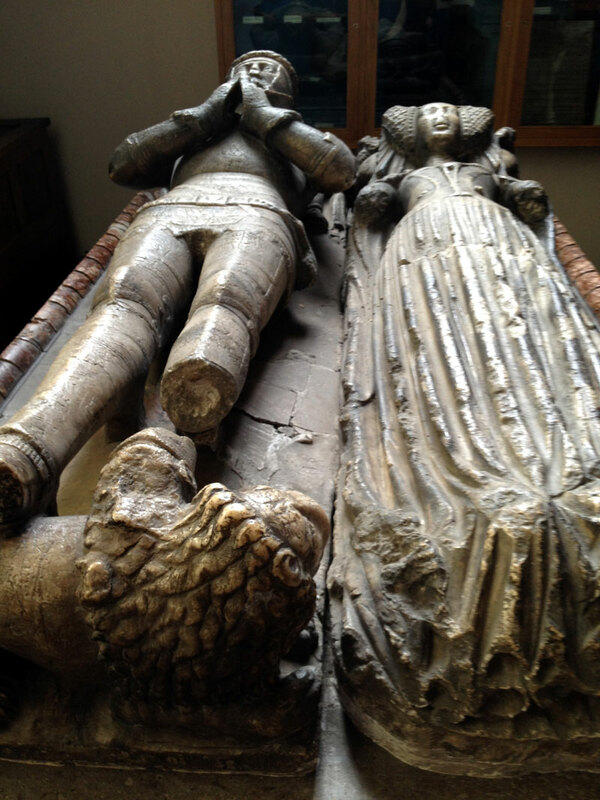 Sometimes you have to hit a low to fight back, and earlier in the year Tideswell was without a Wakes committee and may not have had a Wakes at all. However, sometimes bringing in new faces with fresh enthusiasm is the key. In Today’s modern world of Internet promotion, it no longer serves to print a few flyers, ring the local paper and hope for the best. It no longer serves to say “this is how we’ve always done it” you have to make changes and always strive to improve. Other villages who put on wakes weeks will need to remember that there’s always plenty of competing venues vying for the tourist trade. So don’t rest on your laurels. Get Decorating, Teamwork is essential, and get the kids involved. The village was decorated in a way that hasn’t been seen for 20 years or more. Each year streets compete for the title of best decorated street, best decorated house and the Tideswell residences showed passion and something that they seemed to almost have forgotten about. It was great to see, and absolutely critical for the survival of Wakes week is that the kids are once again getting involved. There was also our Wakes Queen and Rosebud Princess with their retinue. In today’s modern world it’s difficult to get teenage girls to put their names forward to be Wakes Royalty, but this year something inspired the youth. Amongst the Carnival, Local DJ’s Wayne and Wright with their portable disco were calling out to local residents and long lost friends. The Roberts Family who always make a big effort didn’t disappoint this year, they all dressed as superheroes. We saw a Circus, the Tour De France, Jimi Hendrix, Bees and Beekeppers and many others. Getting involved is key. Although Big Satd’y is the the day Tideswellians eagerly anticipate, we should remember all those people who give their time generously to be Wakes stewards and those who help with the general production of the Wakes. Let’s not forget all the people who sell tickets and put on events for charity, all the volunteers who serve teas and decorate the local churches. There is a tendency to think of Tidza Wakes as being all about the carnival but Wakes is an ancient tradition that stems from decorating the local wells to give thanks for the water. This years Well Dressings were truly remarkable. The main Well Dressing was in Fountain Square, but there were three other wells to be seen. Brilliant efforts by Tideswell school, The community Association and Tideswell Pre School. 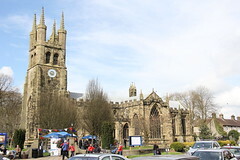 As Tideswell’s afternoon procession could be deemed a fantastic success, many people began to drift , home or to the pub for a bite to eat before the grand finale of the day which was at 9:45, the torchlight procession. Reminiscent of the Viking festival of Up-Hellier Tideswellians and visitors join together in a twighlight parade led once again by Tideswell band. 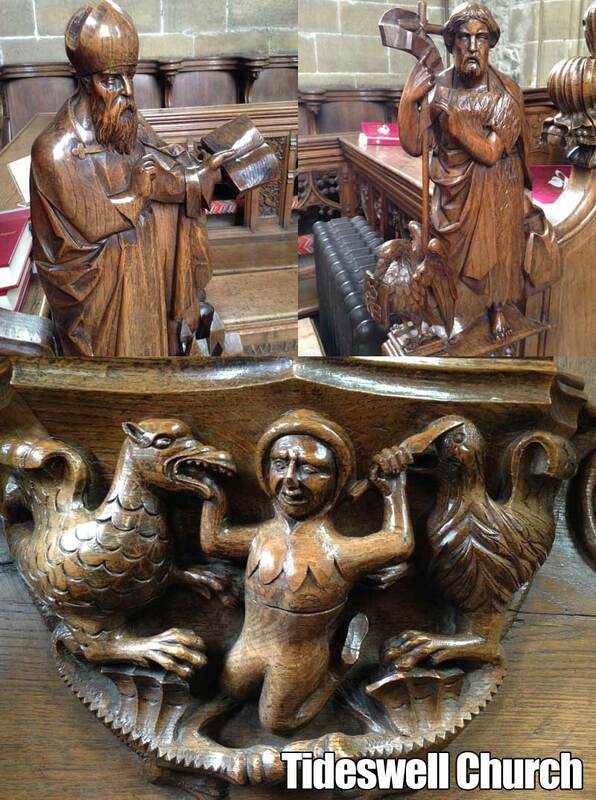 For some is probably the most memorable part of Tideswell Wakes. The procession walks the from Wheston Bank, through the narrow streets to the Horse and Jockey pub, then back up the town, finishing at the George Hotel. Dancers are flanked by Torch bearers on both sides and as the band plays the Tideswell processional. People weave in and out to a heady, and informal Morris dance. A sight to be remembered. 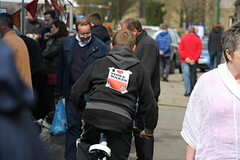 Tideswell Wakes is underway yet again. 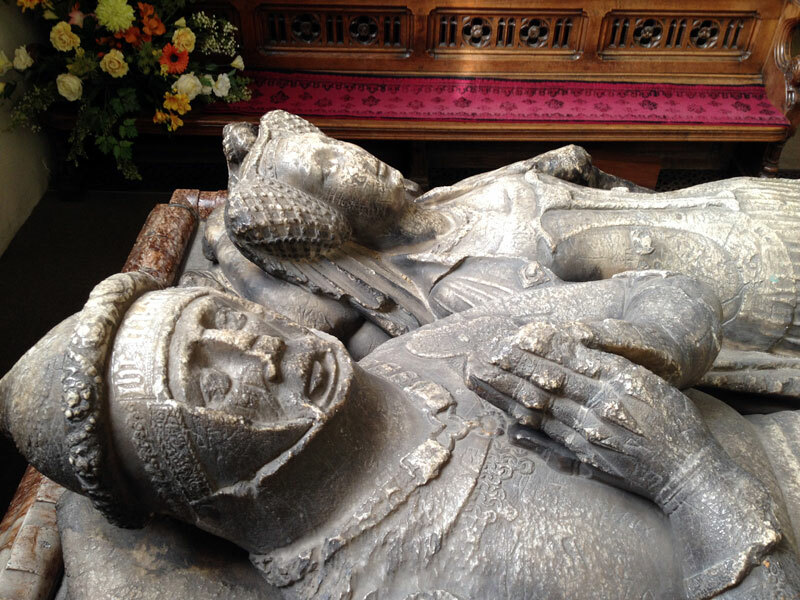 The weeklong festival includes Well dressings, and Carnival, Wakes Royalty, Funfair, Decorated streets and houses is not to be missed if you have the opportunity to Visit Tideswell in the week between the 22nd of June and the 30th. Over the years Tideswell has produced fantastic well Dressings. The Main Well, situated in Fountain Square is always a joy to behold. This years is no different, in fact it’s one of the best Wells I have seen in a long time. Of course there are also three other smaller wells too. Done by the Scouts, Guides and Tideswell School. Wander around the village, they are not hard to find. Part of the revelry of Wakes week is decorating your house and Garden. 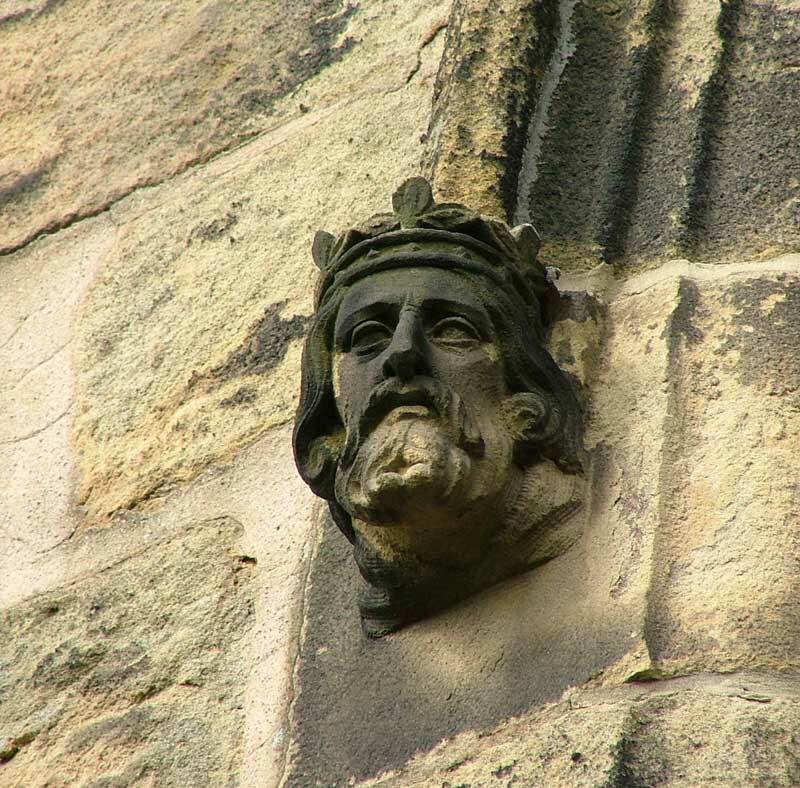 In years gone by this was hugely popular with almost every house sporting some form of decoration. This year has seen a revival of decorated houses with more houses sporting some form of decoration. Houses often pick a theme or are part of a street team who all collaborate. Bunting hangs across the streets, which is something I really do love. So far, the decorations seem back in vogue, and certainly a lot more houses are displaying the bunting. Scarecrows are the new big thing, and a stroll around the village will help you find some fab, and some freaky. Over the years there have been some fantastic efforts. Notable streets to make sure you visit are, Fountain Street, Market Square and Lower Terrace Rd. You can always rely on these streets do do something eye-catching, and interactive. The Highlight of the week is most definitely Big Sat’dy. Big Saturday is always on the last Saturday in June. There is a Carnival procession that parades the full length of the village. Lots of people make or hire costumes and dress up as their favourite characters or make satirical comment on current affairs. It’s always great fun trying to guess those in disguise and the whole event is an amateur photographers dream. This year the village has a brand new Wakes Committee. The old guard decided to step aside,having worked hard for many years. This created the opportunity for Wakes committee elections. This years’ Committee, are mostly known for dressing up in the parades, but now they have stepped up to the plate and taken on the responsibility of running the whole show. 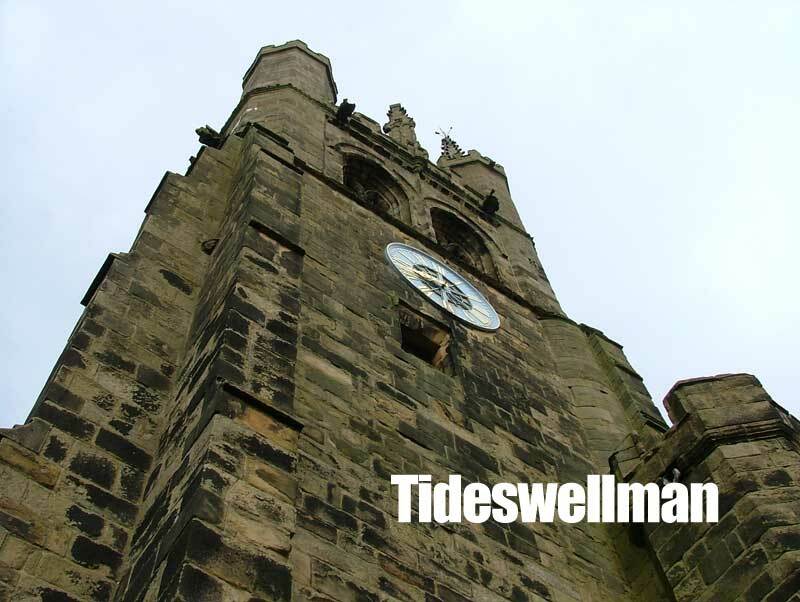 The job of organising Tideswell Wakes is no small feat, and those who have been involved in organising a week long series of events know what a very hard and sometimes thankless task it can be. However, it looks as though this years bunch have made a great starts so far. Most of the Wakes Committee are under 40, and they have brought some new ideas into play and they have also revived a few old ones. 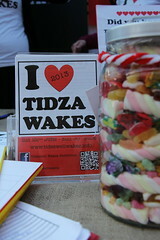 This year Tideswell has really gone digital, the wakes Committee have set up a Website and a Facebook page, for people to comment, and share their experiences. 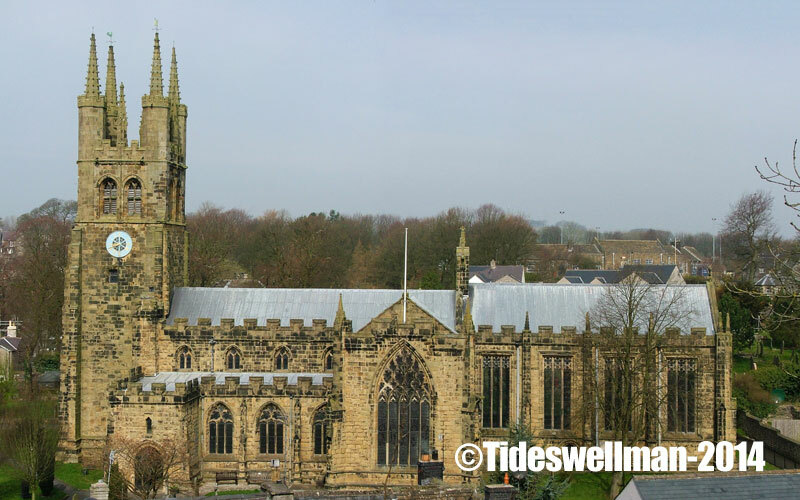 People can get updates via Twitter, which is a massively useful tool for spreading the word to people from outside the village who might be looking to visit the Peak District, but may have not heard about Tideswell Wakes. 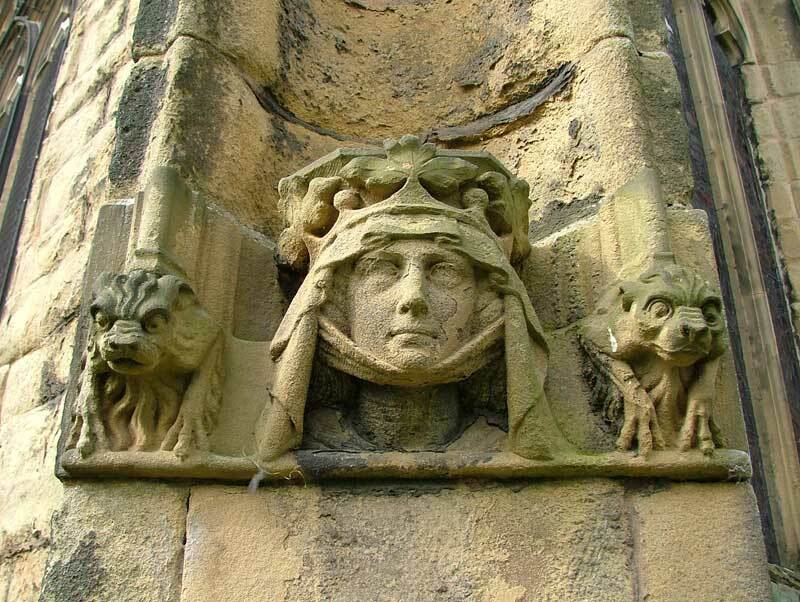 I’d urge everyone who cares about or who has visited Tideswell and Experienced Wakes to get on Twitter and tweet, tell your friends and family about Wakes week and Big Satd’y. All publicity will help the Village. 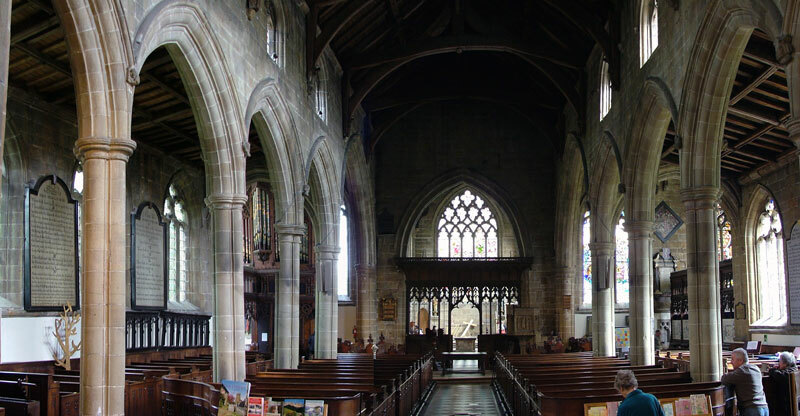 Get to Tideswell for Wakes, you really wont regret it, there are plenty of local shops and some decent pubs too. Lot’s of lovely walks, and of course the amazing Church. You can get a cheap brew at the Methodist Chapel whlst looking at the artwork. What more to you want? Get thee Sens There! See you all on Big Satd’y! I have been writing the Tideswellman blog since 2004, yet, For some reason I have thus far failed to write a post about Tideswell Pubs. Odd really, given that I spent an inordinate amount of time in them when I was a young man. My Dad had always told me about the many pubs that there used to be in Tideswell when he was a boy. Since those days in the 1930’s/40’s a lot of pubs had closed. Names like,Three Tuns Inn, The Peacock, The White Hart; The Old Hart Hotel; The King’s Head; The Marquis of Granby; two Miners Arms; The Dog Inn; The Gate Inn; First Drop Inn or The Bellevue; Cliff Inn;The Angel Inn; The Bull’s Head and the Black Horse are just some of the pubs that have gone. 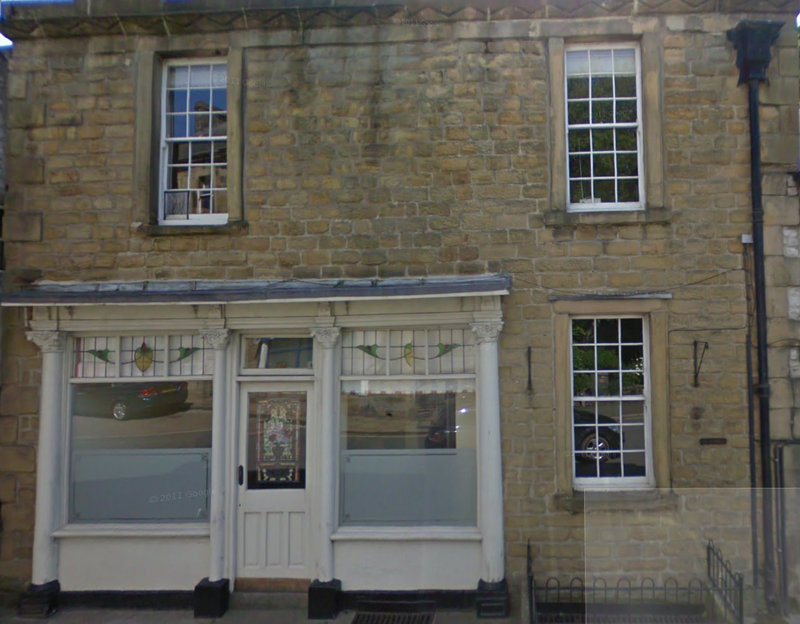 When I was a boy growing up, there were five pubs in Tideswell and four just outside. The Horse and Jockey, The Star Inn, The First Drop Inn, The George Hotel (Inn), and The Ex Servicemans Club. 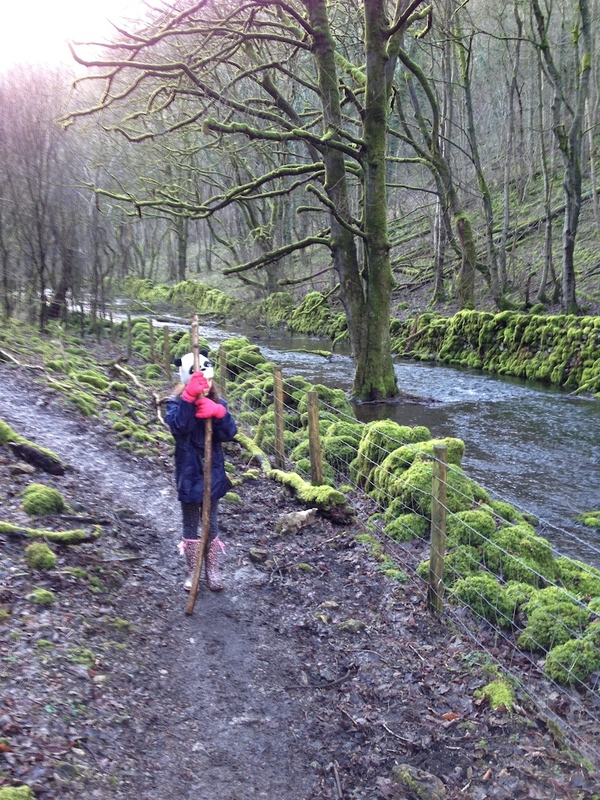 The Anchor Inn is just outside the Village, The Anglers Rest is in nearby Millers Dale. 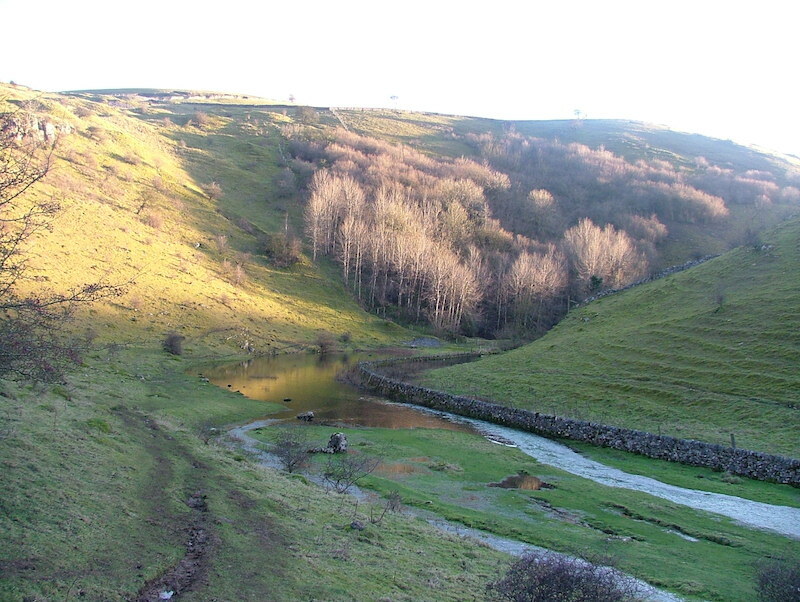 Within Walking Distance is The Red Lion at Litton, and The Three Staggs at nearby Wardlow Mires. It’s very easy to overlook the role that the village pub plays in our lives, they are so central to the life of a village it is easy o see how they can be taken for granted. Neither of my parents drank in pubs in my formative years, but the pub was still somewhere I found myself regularly, even before the days of partaking in a few jars. I was aged around eight years old when I went into my first Tideswell Pub. The pub was most probably the George Hotel. This was the result of a childish fad which involved following the crowd I’m afraid. I enrolled in the Dance class that used to be held in the back room. I wasn’t any good at dancing (Another stereotype smashed, right here). I spent most of my time hiding under the tables with Marcus Roberts and Dave Ponsonby. Oddly enough though I still remember all the moves to the cha-cha-cha. The next pub, I frequented was the Horse and Jockey. My mum had a job as a cleaner there. She was working for the landlady Mrs Dunn. 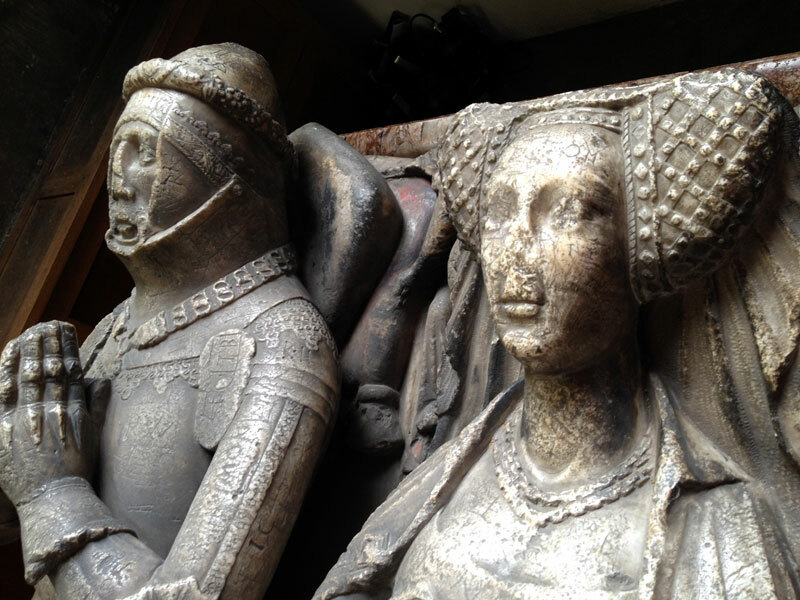 I can see Mrs Dunn now, in my minds’ eye though I rarely ever saw her to speak to. I used to tagg along with mum when she used to her job. I used to do a bit of bottling up, I can’t say I really remember much about it, in truth I think I was a bit young to be doing that job. Mrs Dunn used to hold many a raffle to which Gerald (Geddy) Hodgson would often provide the prize. He could usually be found enjoying a drink and a cigar, with his large German Sheppard “Shane” lying at his feet. Mrs Dunns Ghost stories stick in my mind to this day. I remember mum telling me about how Mrs Dunn had been working in another pub before running the Horse and Jockey. This pub was apparently haunted. 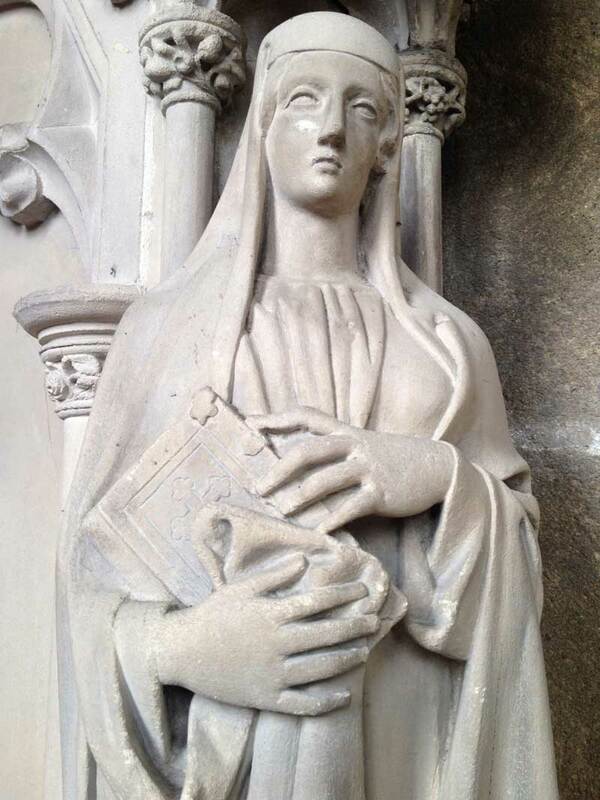 She told how she had seen a nun walking down the corridor, and then turn into a room that wasn’t there. 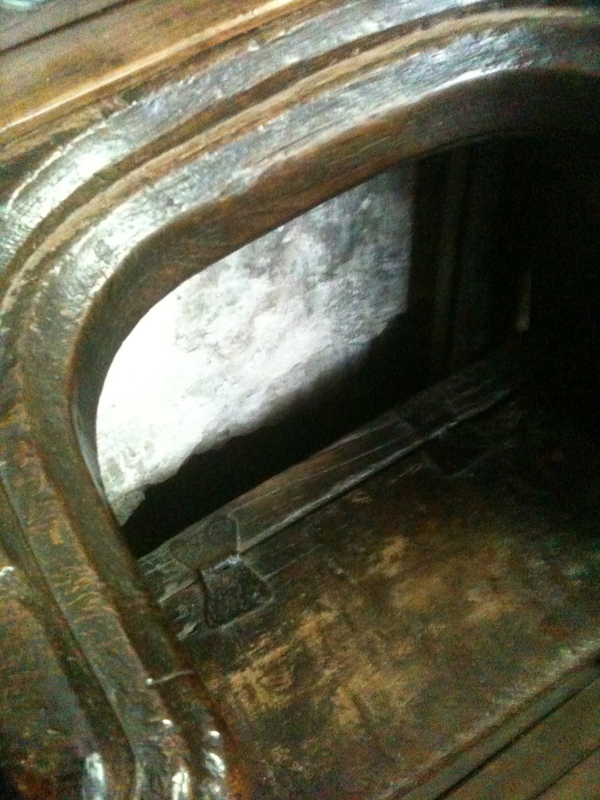 There was also a more chilling story about a young boy who could be heard crying in one of the bedrooms. Yet, whenever you entered the room, there was no one to be found. Despite these stories taking place in another pub, I never liked to be in the Jockey on my own after hearing those stories. It would be years before I’d go in the Horse and Jockey again. The next time was a celebration. I was about 15 and Tideswell United under 16’s had just won either the Cup or the League. We were all there celebrating drinking champagne out of the trophy,thanks to a few proud dads. We were all doing the conga round the pub, all smashed and high on life. Happy days, I never did get my medals though. In my early teens I was desperate for money, the prospect of a job at the George Hotel was too good an opportunity to pass up. 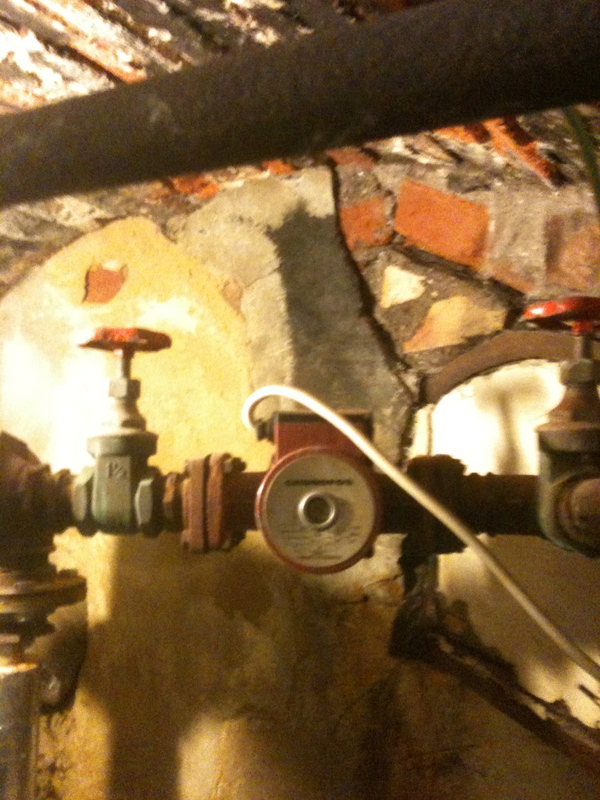 The landlord was Dale Norris, I knew his daughter, who was in the year below me at school. Dale had built a decent reputation for serving good pub grub. He had several local people working for him. I was one of them and most probably the worst. The George, had a bloody great Pool table, and it was the centre of the village in early evenings. The pool table was moved by a recent landlord, much to the chagrin of many locals. People would go to the George, play pool and then later head over to the club. I never really got to know Dale Norris at the that time, he was a successful businessman, and I was just some oik of a kid. However in recent years we have struck up a bit of an Facebook friendship. 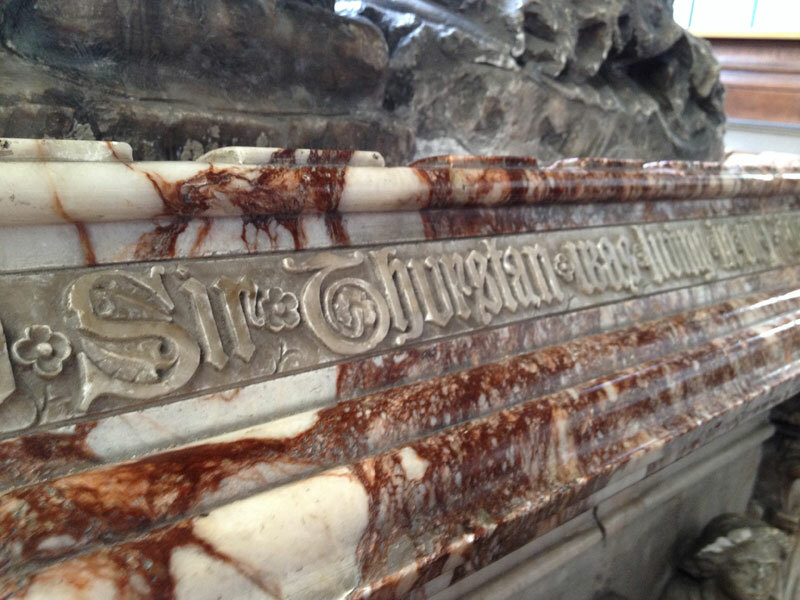 We share a love for Tideswell and for the documenting of local history. I asked Dale to summarise his time as landlord of the George Hotel. Here’s what he told me. Dale has been building up a great collection, of photos over the years, and recently he has shared them on Facebook. He created, a group called “Friends of the George“. He has also created video slideshows on YouTube of the same photos. 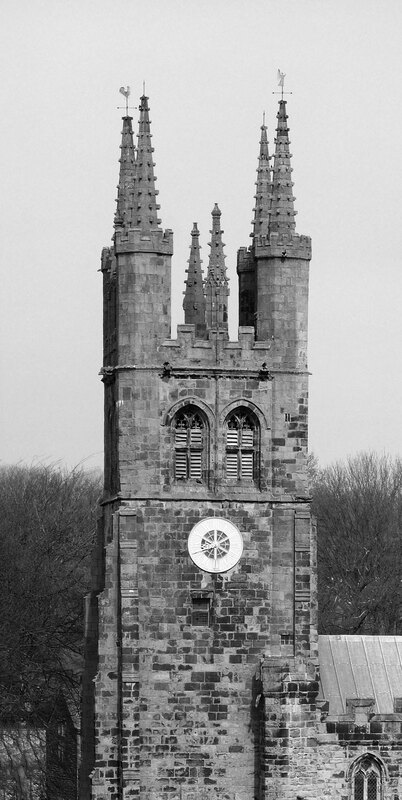 A great resource for Tideswell, I’m sure you’ll agree. ‘The star Inn’ is on High Street, it was always a pub of some mystery. It was where the builders went to drink, it was where deals were done. 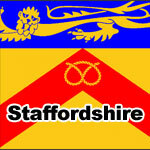 During my teenage years, it was run by Alec and Mary Fairey. 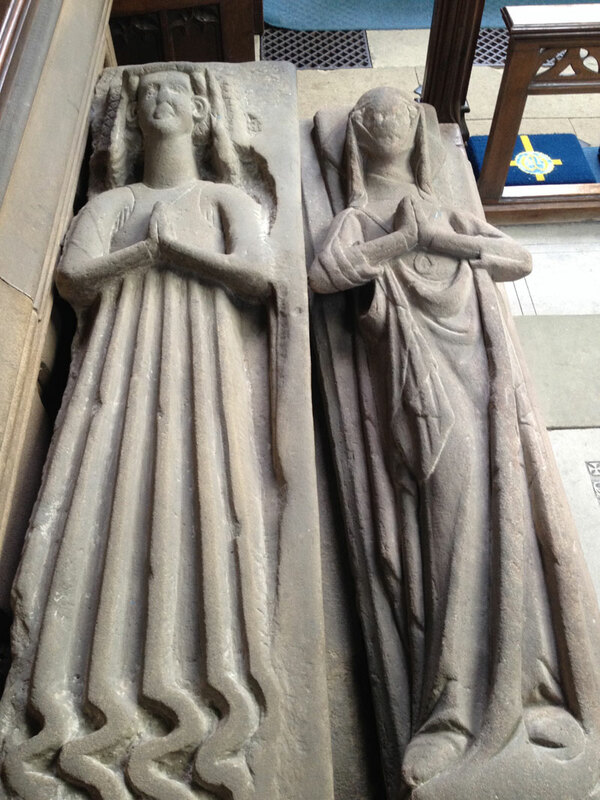 Alec was a builder and Mary was a landlady not to be trifled with. We (Myself, Emma Furness, Philippa Hunstone, Antonia Hunstone, Robert Lingard et al), used to go in there as teenagers, taking advantage of some rule that teens could go in pubs and not drink alcohol. One or two of us would chance the fake id’s (Me and Mark Duffy) but who were we kidding in a village where everyone knew each other? In the 1980’s pubs had to close at 11.30. 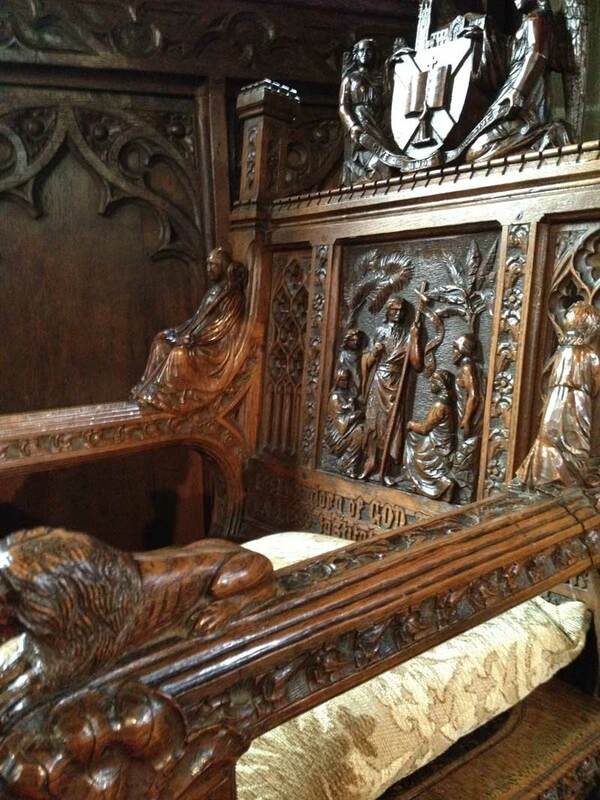 It was however, rumoured that if you were in before 11pm you could have your breakfast in the Star. Of course that was just a malicious rumour. A bit further up the road was ‘The First Drop in’. It had previously been known as ‘The Last Drop Inn’. My experiences in ‘The First Drop’ were truly character forming. During the tenure of the Tickners ‘The First Drop’ was one of the Places to go. Thursday night was ‘Drop disco night’. Holy hell, those nights were jumping. There wasn’t a Thursday night when we weren’t blind drunk. 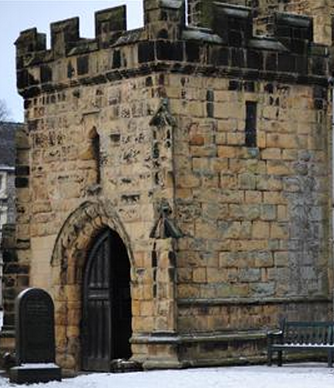 Tideswell people get to meet people from all over the Peak District and beyond. Buxton people would come, Hope Valley People would turn up, Matlock folk, Ashbourne and Hartington People, Even Chesterfield and Sheffield folk. And after the Pub closed for the night, Tideswell’s only chippy at the time, did a roaring trade. There were quite a few love afairs and punchups started on those Thursdays. 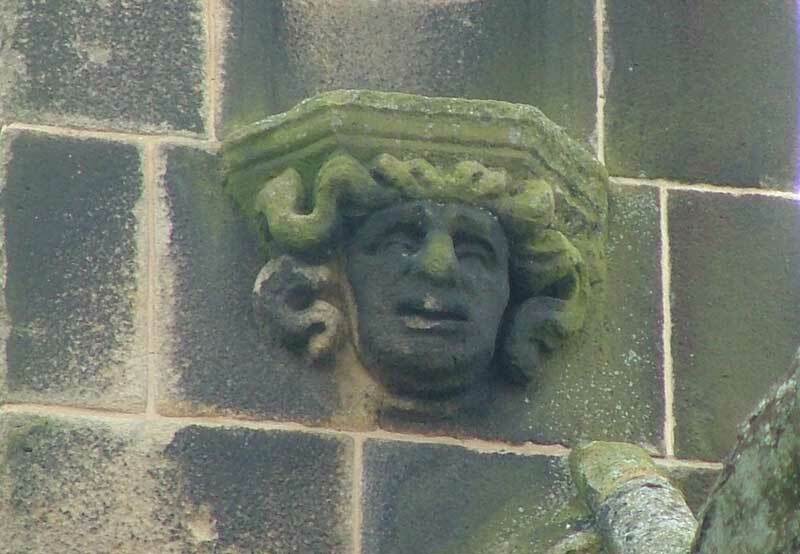 Next, I’d like to take a bit of time to talk about Tideswell Club. Tideswell Ex-Servicemans Club was a special place. Most Tideswellians have spent a few happy hours in there, literally. I first went in there as a boy. My Friend Nicky Orr’s dad, Lionel used to run it. We would often go in to play snooker. Once I’d turned 16 I became a member, it was a private members club that accepted members at sixteen. A loophole allowed all members to enjoy a beer, so it was especially popular with every sixteen year old in the district. I used to ride my motorbike up to the club and park up. Go in for a game of pool. I used to play “Substitute”, by The Who” on the jukebox. Some people didn’t like us playing the old Rock and Roll tunes, Lee Skidmore and I would play the same track over and over, just to wind people up. We always sat in the same seat, by the Juke box and close to the pool Table. There was an old Chap named Bill Lawrence who used to come in for a glass of port. We were all in awe of him as he seemed so old but, he always used to turn up for his drink. We’d practically fight to take him the drinks. Christmas, Wakes and every other notable occasion was always marked in the club. The disco’s there were a source of community cohesion that you just don’t find nowadays. The cut price beer and large open spaces made it a real winner with the clientele. After many years the club closed for a while, it reopened for a few years as ‘The Cross Daggers Inn’, which was the name of a pub that had stood on its site before the Ex-Servicemans was built. Sadly the Cross Daggers didn’t last. Earlier in 2012 the place was demolished. I’m so sad that Tideswell club has now been demolished. But the old has to make way for the new, it’s the way of the world, always has been. I’m most likely to do a terrible disservice. Because The Anchor is out of the village I rarely venture up there. Sadly the only time I find myself in that pub, is for a wake. 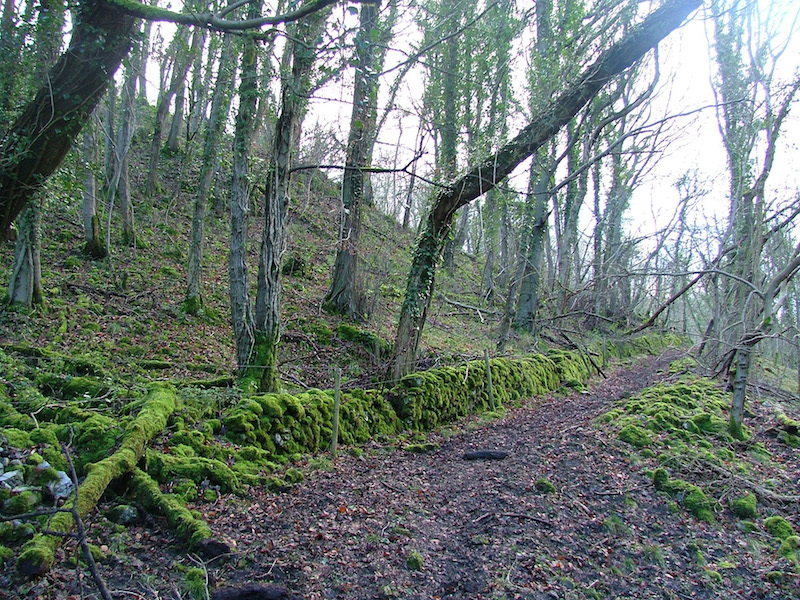 Being close to Tideswell Cemetery it’s the ideal stop off point for winter funerals. However, many Tideswellians have stories to weave about this pub. Perhaps they will share them in the comments section. 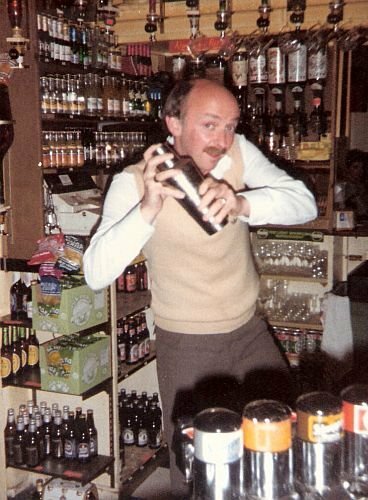 Please leave a comment below (not on facebook), tell me all about your memories of Tideswell’s pubs, and the happy times you had within them. 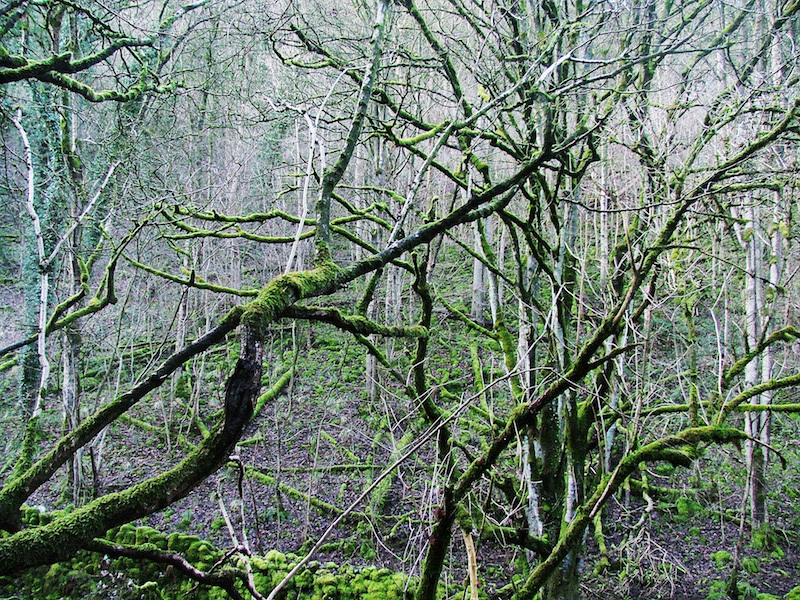 After moving from the city to the countryside, I have become aware of much more than just the beautiful scenery. I have recently begun to notice the sounds that are all around us and to take more notice of these sounds. In truth my fascination started whilst on holiday in France this May. Whilst sitting around the pool one night, checking my emails in the Wi-fi zone, we heard a strange sound. It was the sound of frogs calling out to each other. The sound was strange and eerie. As the croaks echoed across the water of the swimming pool, I got the idea to record the sound on my phone. When I played the sound back a couple of weeks later, it occurred to me that the sound was so evocative of the moment that it might be rather good fun to do a few more recordings. However the recordings really do have to be impromptu, as opposed to staged or set up. 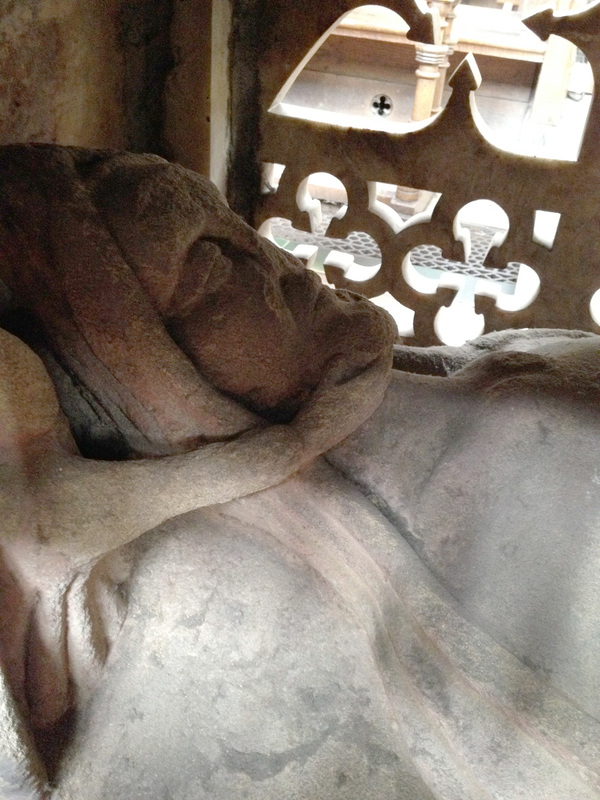 My next was recorded on a Thursday night in Tideswell. I nipped into the Horse and Jockey for a quick pint. There was a folk group performing in there. They meet there every Thursday night. I simply put the phone down and recorded a snippet. Folk music really isn’t my thing at all, but I have to admit that the quality of the music was fantastic. What’s more, it conjures up an image of days gone by. Have a listen. Over the coming weeks I’ll serve up a few more sounds, perhaps if people comment, I’ll make it a regular feature. Maybe you have recorded something you’d like to share with me? Please leave me a comment. 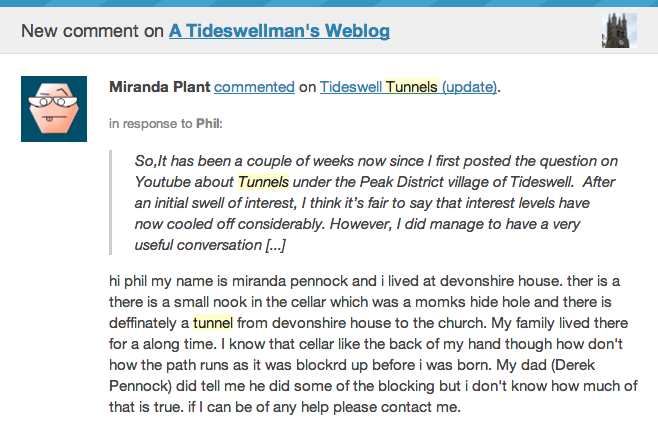 So,It has been a couple of weeks now since I first posted the question on Youtube about Tunnels under the Peak District village of Tideswell. After an initial swell of interest, I think it’s fair to say that interest levels have now cooled off considerably. However, I did manage to have a very useful conversation with Tideswell Parish Councillor Philip Swarbrick. His Grandfather used to own “Swarbricks Shop”. Today the shop is a private residence. 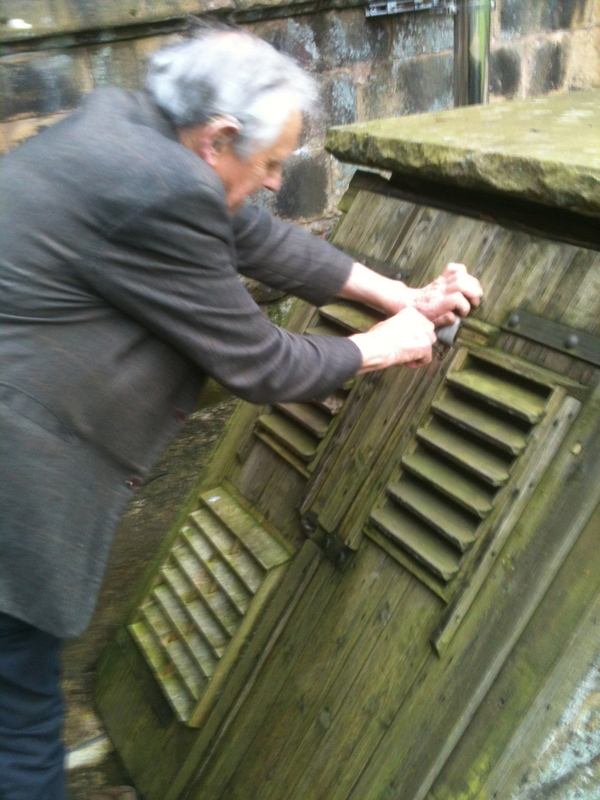 Phil told me that the 100% knows that there are Tunnels under Tideswell, because “He has been in one of them”. Phil proceeded to tell me about his days as a youngster spent in his grandfathers’ shop. 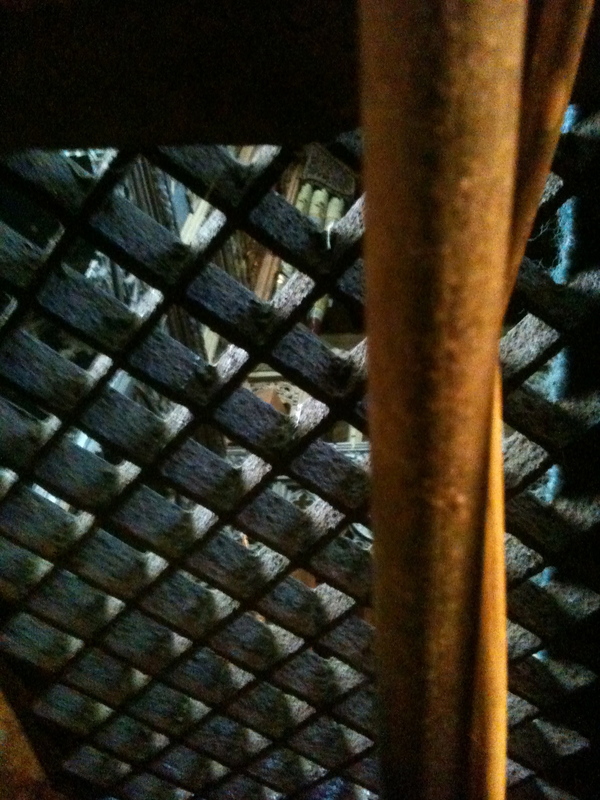 He said that underneath the grids at the front of the shop is part of the cellar where his grandfather used to keep Coal and logs. 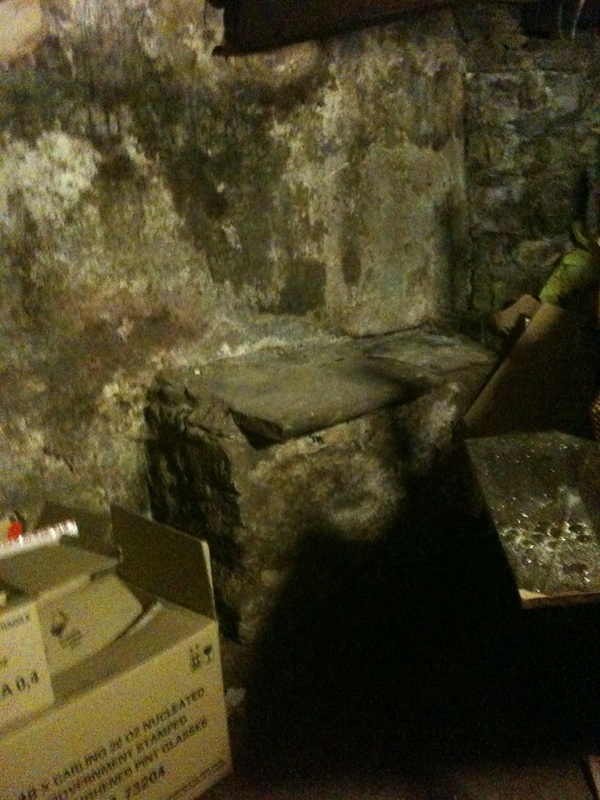 He told me that in that cellar there used to be a large Zinc Plate on the wall. The very presence of that Zinc Plate nagged at Philip’s subconscious, he wanted to know why it was there. He kept telling me that as a curious young boy, he just couldn’t understand why there was a zinc plate on the wall, he wanted to know what it was covering up. So one-day Curiosity got the better of him and he plucked up courage and pulled the Zinc sheet off the wall. Behind the metal sheet was a hole in the wall, which, when he climbed through it opened onto a “5 ft tall barrel-shaped tunnel”, he ventured in. Philip told me that the Tunnel went straight back, towards the Cliff then took a turn to the left. Given the position of Swarbrick’s show left would have led up past the back of the “Bulls Head”. He said he got a short way into the Tunnel with a torch but then came to a part where it had caved in. This is where common sense got the better of curiosity and he turned back. A short time later Philip’s father who was running the shop above decided he needed more room, he was aware that there was a cavity at the back of the shop because the lower floor went further back. Phil’s father knocked through the wall, that was behind the shop counter. 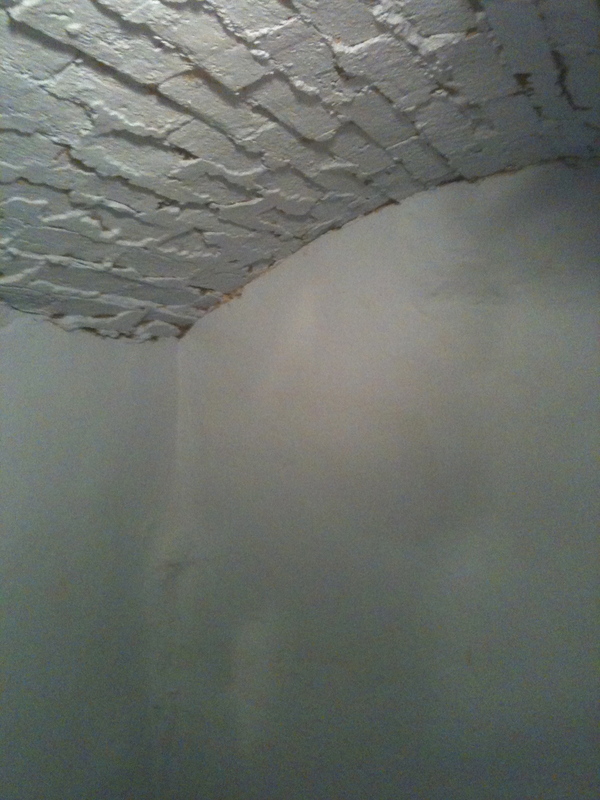 Behind that wall they found a cavity room with a large hole in the floor. 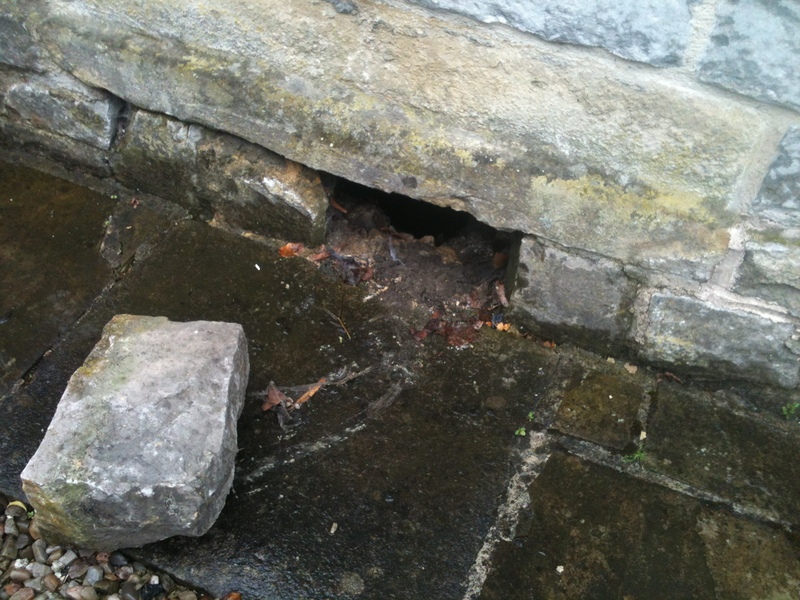 The hole, went down into the Tunnel that Phil had discovered. 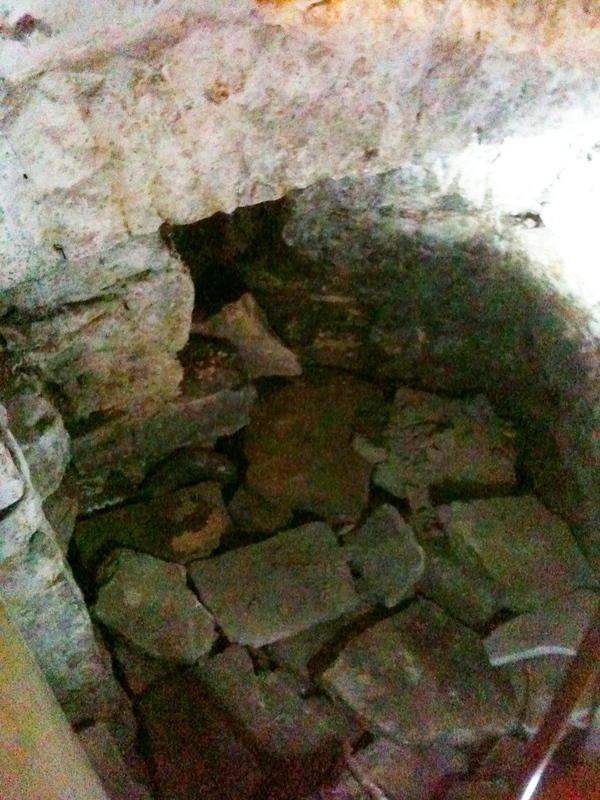 Phil tells me that the hole provided the perfect place to dump the rubble from the shop alteration, and so the tunnel was filled in at that point. I do not know who owns the house at the moment, but I would like to know and would like to get in touch with them, to see if any traces of evidence remain. 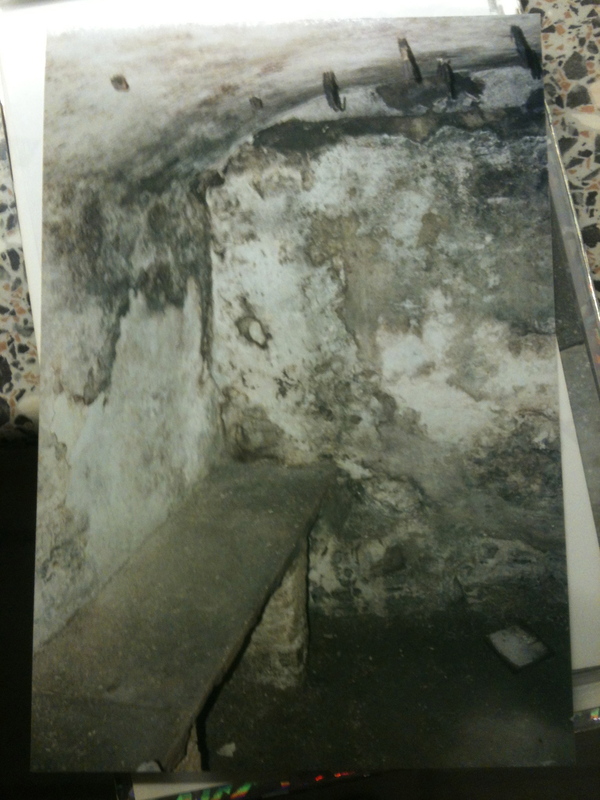 “ Didn’t they discover a tunnel a number of years back, beneath what was The Medeira House Restaurant, when doing renovations. But elected to just cover it up w/out investigation? I remember hearing something like that, because I was surprised and disappointed that there’d not been any investigation of where it led to. I also remember, as a kid, that a tunnel of some kind was found beneath the floor of the old out buildings behind Hudson’s butchers shop (Markeygate House) which is, of course, right next to Hilly Swarbrick’s old shop. I remember watching Keith Hudson and some of his friends climb down through a hole in the floor using a caving ladder“. So, the plot thickens. That now makes two people who have told me they have been inside a subterranean tunnel in Tideswell. I also know of a couple of claimants who have since passed on. I prepared a letter and delivered it to some of the properties that I suspect may have a Tunnel, the response has been underwhelming, to say the least. No one has gotten in content with me. I still have two very Important ones to deliver though. 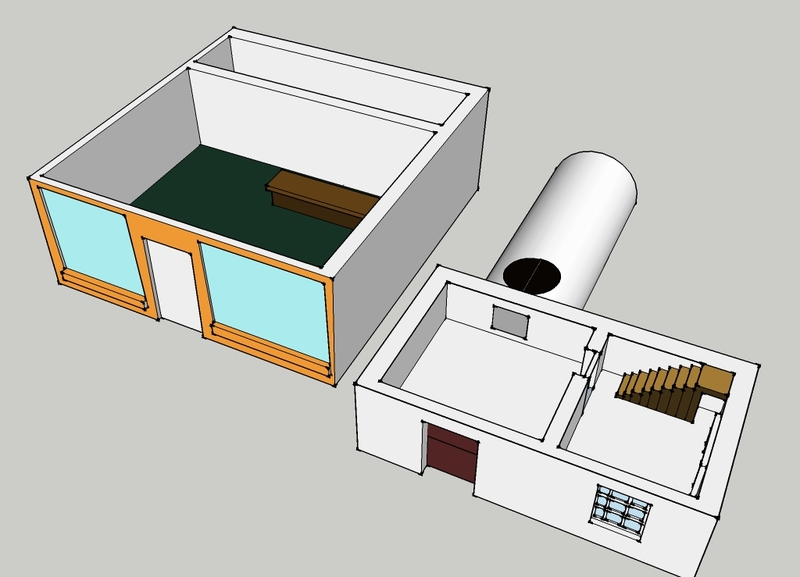 Here is a reproduction of a diagram Phil Swarbrick made for me of the old layout of the shop. Please note, the 3d model isn’t to scale as I’m not an expert with the software, but I made it based on a loose sketch made by Philip Swarbrick. 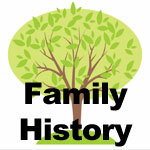 It is designed to give you the basic gist of the layout. It’s a split level diagram, you can see the false wall with the hole in the floor leading to the tunnel and you can see the metal plate on the wall with the tunnel going backwards toward the cliff. 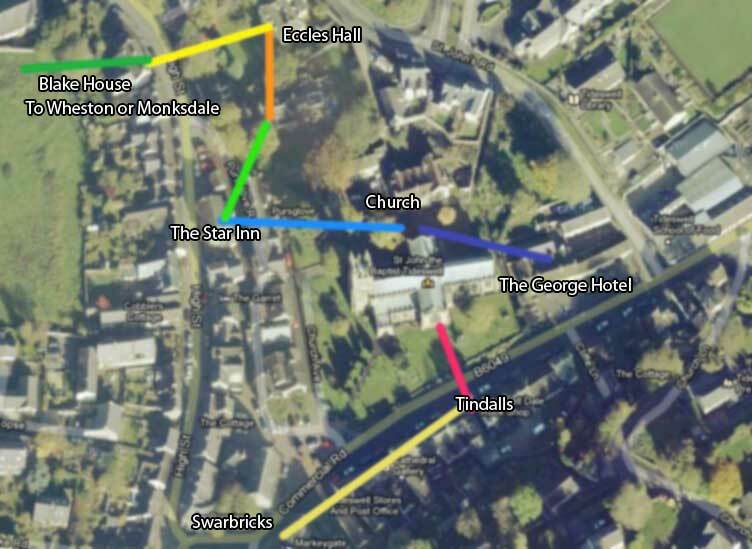 If anyone has any more information about Tunnels in Tideswell, please don’t hesitate to get in touch. This is something that the whole village needs to know about. It’s our hidden heritage. Thanks to Pete Hakwins for sending me the June 2012 Village Voice. 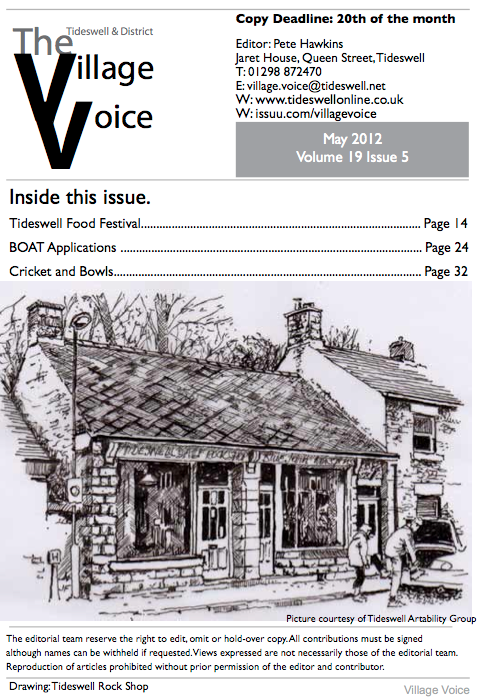 It’s the Tideswell Village Voice Magazine and comes out monthly or Bi monthly. Pete’s given me permission to post it here for you just as another way of getting the news out there. Thanks to Pete Hakwins for sending me the VillageVoice. 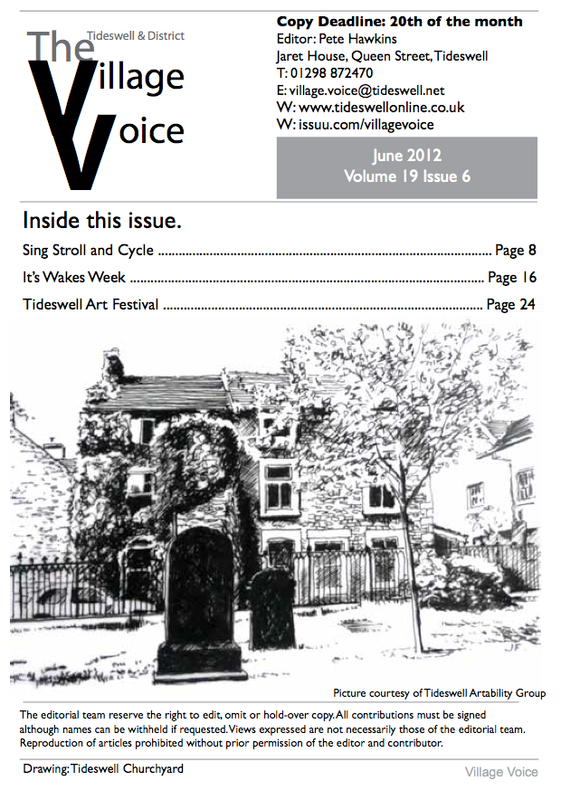 It’s the Tideswell Parish Magazine and comes out monthly or Bi monthly. Pete’s given me permission to post it here for you just as another way of getting the news out there.